This project brought together leaders from a wide variety of fields to create a SOPHIE Expert Group. The scientific discipline of Oceans and Human Health aims to understand the complex links between oceans and humans, and the threats and opportunities they pose to each other. In order to understand these connections we must bring people from different fields together—including the marine sector, public health and medicine, law, economics and policy—to combine the multidisciplinary knowledge and perspectives from both researchers and professionals alike. 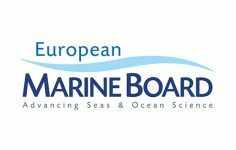 The outcomes from these sessions have informed the development of a Strategic Research Agenda (SRA) for Oceans and Human Health research in Europe. Aimed at funders, policy makers and the research community, the SRA will provide a roadmap for the future growth of European Oceans and Human Health research and will be launched at an International Conference on Oceans and Human Health in March 2020. SOPHIE members gathered in Dun Laoghaire, Ireland in April, to take part in the first of two expert workshops. Creating a space for researchers and professionals to meet, interact and build working partnerships.